A proper and routine tune-up allows your engine delivers the best balance of power and fuel economy and produces the lowest level of emissions. Normal vehicle usage causes various parts of your engine to lose their efficiency because of under-the-hood temperature and vibration. Cleaning and decarbonizing the throttle body and fuel system. Oil vapors from the positive crankcase ventilation system lead to carbon build up. The Import Master will also check fluid levels, inspect the engine elements and make minor adjustments necessary to improve performance. 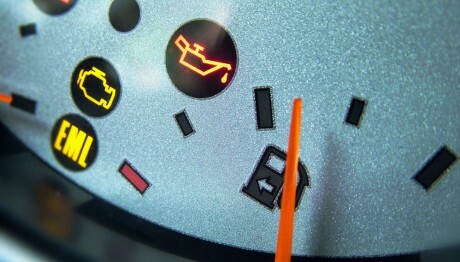 Since computers are such a large part of the functioning of the vehicle, often there are no adjustments to make. In addition to performing a tune-up, keeping tires properly inflated improves gas mileage by 3 percent. A clean air filter can improve fuel efficiency by as much as 14 percent on older vehicles and also helps the environment, as do regular oil and oil filter changes. Air filters are usually inspected during an oil change, which should be performed regularly as recommended in the owner’s manual. Tire pressure should be checked monthly. When to Get a Tune Up? With older models, it was easy to tell when it was time to get the timing adjusted. A car owner could just listen to the engine running and know if it was off. Today’s modern cars make that type of service obsolete. A healthy car will show no signs. A problem means it needs auto repair not tuning. For most models, it is the number of miles driven that matter. On average, tuning is done every 30,000 miles – in other words, at the 30,000 mile mark, the 60,000 and again at 90,000 miles. Some models need it done more frequently, some less often. The owner’s manual will give specifics on when different types of maintenance are due. It’s a good idea to consider a tune up before you take a road trip, and maybe even after, depending on how many miles you put on your vehicle. Is Tuning Up Still Important? It is still an important part of auto repair. 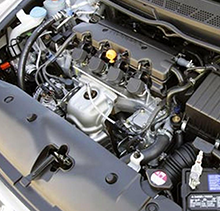 A car that has dirty filters and a corroded throttle plate may not be as fuel-efficient. Getting this auto repair regularly increases the lifespan of costly parts, as well. Neglecting the service means you spend more money at the pump.